Roguelike campaign mode where death is permanent but with persistent rewards from one game session to the next. Drive back the invading forces and press forth for victory! Ironcast © 2015 Ripstone Ltd. 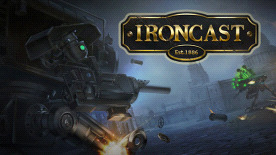 Developed by Dreadbit Ltd. “Ironcast” is a trademark of Ripstone Ltd. All rights reserved.